Cypress Builders is a family owned company dedicated to personal service. We will guide your renovation or addition from conception through completion, meeting exacting architectural standards through superb design and quality craftsmanship. *Authorized Woodharbor Cabinetry Dealer* Von Dreele – Freerksen Construction Company is a general contractor in the Chicagoland area that specializes in the renovation and restoration of homes. We are a full-service company covering all steps of the process beginning with consultation and design, continuing through the architectural and engineering processes, and ending with the finished project. We design, build, and sell single family homes in the Chicago area. New construction or large-scale renovations. We can take you through the whole process of property procurement, design formulation, architectural drawings, permitting, general contracting, construction management, and interior design. Jeff Mayra is an IL Licensed Realtor with Kale Realty in Chicago. 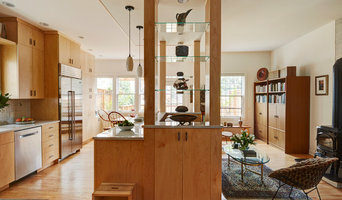 Transforming homes from Evanston to Lake Forest, we design and build each project from start to finish. Our design sensibility is understated and inviting. Smart layouts with clean lines and high quality materials are prominent in our work. Please visit us at www.afinishedspace.com to learn more. Nantom Construction, Inc. Is a design/build remodeling company specializing in Basement, Bath, and Kitchen remodeling projects. 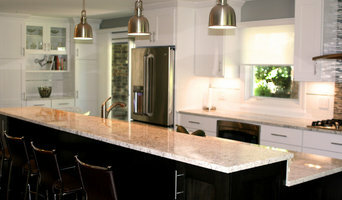 General Contractor specializing in fine homes, remodeling, and unique designs. At Punch Construction, a design and build firm in Chicago, we turn visions into reality. Whether you’re looking for kitchen remodeling, bathroom remodeling, or custom millwork or carpentry, we can work with you to develop a space that fits your lifestyle, your vision and your budget. At Punch Construction, we strive to exceed your expectations on every home remodeling project. We pride ourselves on cleanliness, professionalism and above all, high-quality work. We have a passion for renovating old properties and making them new. We exclusively work in Chicago & surrounding suburbs. We have over 10 years experience as a developer and general contractor of high end custom single family homes and rich transitional new construction condos. We strive for excellence and exceeding our clients needs. 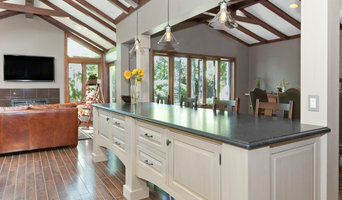 We can design and build your home working with your architect or ours or rehab your existing home. We also can find you a property suitable to build your dream home. We can design and tailor a design to fit your budgets, our experienced project managers will deliver on time and within budget. Craftsmanship, integrity, and smart design is the simple philosophy that drives us to build the highest quality homes, additions, and spaces. We do not believe there has to be a compromise between beauty and practicality and neither should you. We are there before, during, and after construction to ensure that it meets or exceeds the high standards you want and expect. August Limited is a premiere builder of fully custom homes and author of exquisite renovations. 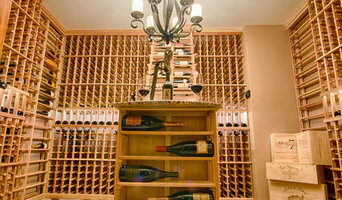 We offer exceedingly knowledgeable craftsmen and the finest materials available. Our projects are centered in the Chicago Market with a strong presence in Barrington, Palatine, Arlington Heights and Long Grove. We cater to the individuals and families with an affinity for the finer details in life, exceeding expectations through our constant pursuit of complete customer happiness. Above all else, the relentless pursuit of your enjoyment and satisfaction is at the forefront of every decision we make. We believe it is possible to always say YES to you, the customer. "BUILD DREAMS - DELIVER PROMISES - HONOR EVERY PERSON" illuminates throughout our company with every individual. G.L. Green & Associates, Inc.
"Space and light and order. Those are the things that men need just as much as they need bread or a place to sleep." -Le Corbusier GL Green & Associates Inc. is a Design and Construction firm who specializes in working closely with clients who desire to build truly custom homes. By combining the unique attributes of each home site with the specific wants and needs of each individual client, our focus is to help turn our clients dreams into reality! Please contact us to discuss your dream of building your custom home! A premier North Shore Chicagoland residential Design and Build firm offering you the opportunity to work with experienced designers who engineer value and creativity into their designs. Whether the project you have in mind is an addition, a new kitchen or an entire second floor, we create design solutions for your home that are innovative and appealing.